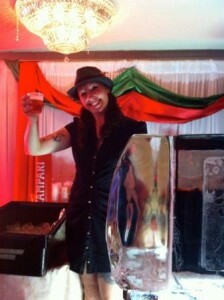 In July of 2011, the boys from BartenderOne were treated to a team retreat in New Orleans for the annual Tales of the Cocktail extravaganza! The trip began at 3am on Thursday morning as the team gathered for the 6 am flight. Total hours of sleep: 2. Once we arrived, we were met by a black stretch limo to take us to the Intercontinental hotel, which was only a five-minute stumble to Bourbon St. Each one of the guys selected different seminars to attend. My first was at 1pm. 3 hours after getting settled. As I sat in on the women behind bars seminar, I noticed that I was one of only four guys in the entire room. Great choice! Have you ever tasted a cocktail and thought hmmm I could definitely do a better job myself? Or maybe you have envisioned what you suspected to be delicious mouth-watering cocktails with ingredients one may never normally use in the bar? 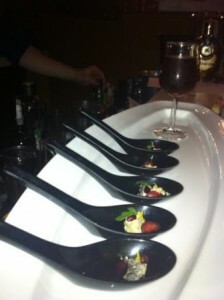 Six experienced bartenders from Toronto decided to bite the bullet on the evening of May 30th for the spring finals of the International Bartender Certification and each created some masterpieces that tantalised the judges’ taste buds on the night. Over the course of five weeks these bartenders attended the BartenderOne IBC course as students and tasted over three hundred different spirits, bitters, liqueurs, sweeteners, infused foams & spirits and alternate types of citrus and cocktails. Long before bartending even entered my mind the biggest thing in my life was organized sports, more specifically ice hockey. Being part of a competitive sports team taught me many life lessons that have helped shape my life and I often reference them in my day to day travels. Through the years my grandfather was always my biggest fan and one of the things he used encourage was offseason training to stay sharp and ahead of the curve. He used to always say “if you play with better players they will make you better without you even knowing it” Every summer I would train and actively play in summer teams, but it wasn’t until I started playing with players of a higher calibre that I truly evolved as a player. They indirectly pushed me to be better by holding me accountable for my mistakes and making me strive to be at their high level. How this pertains to bartending you ask? Have you ever tasted a something and thought ‘man I could do a better job myself’? 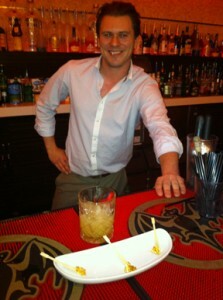 BartenderOne had the chance to back up this statement when Lauren Mote, celebrated Mixologist from The Refinery Bar in Vancouver came to assist with a culinary approach to cocktails. In the 1500s, lead cups were commonly used to drink ale.The combination of alcoholic beverage and lead vessel would sometimes knock drinkers out for a couple of days, and these unfortunate souls would be taken for dead and prepared for burial! A body would be laid out on the kitchen table for a couple of days, and the family would gather around and eat and drink and wait and see if the body would wake up – hence the custom of holding a wake. 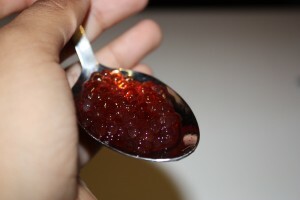 Cocktail caviar is a fairly simple, yet effective way of impressing your guests while hitting taste/texture sensations they've never heard of! 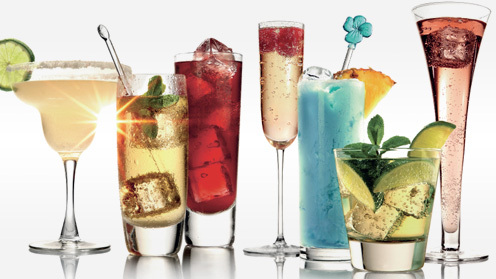 Spring is just around the corner, and it’s time to shake things up – or stir things up, depending on the drink! Here are some completely random recipes that have crossed my lips this month. If you or your staff have recipes you think might be of interest to Behind Bars readers, please drop me a line! Named by Ernest Hemingway in honour of the British general who, he claimed, would fight the enemy only if he had 15 soldiers to their one – that was also the proportion of gin to dry vermouth in the martinis Hemingway ordered. A sweet twist on the classic Sidecar. 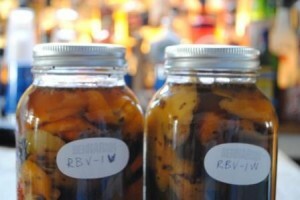 Use Navan Vanilla Liqueur, as opposed to orange liqueur. We wanted to title this one “April cocktails bring May ____,” but alas … nothing rhymes with cocktail. Whatever the coming month will bring, with the last threats of winter’s snow storms hopefully behind us, it’s time to ponder a few cool drinks for the upcoming spring and summer (aka: patio) seasons. Here are some recipes that have crossed my lips this month. If you or your staff have recipes you think might be of interest to Behind Bars readers, please drop me a line! Cocktails That Pack a Good Punch! 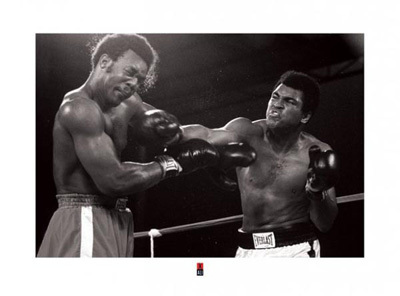 Read further for punch recipes that pack a punch like Muhammad! Enduring the cold Canadian winter is no easy feat. A classic survival kit includes cocktails that kick it ‘Old’s Cool,’ tropical treats to remind us of warmer months and a party punch that pleases the crowd. Would you rather receive the tip from a Rum & Coke ($4) or a $10 Cocktail? Be the difference between an 'Order taker' and a 'Mixologist'. Vodka sodas and Gin and tonics are fine, but as Canada starts making a move to catch up with the cocktail epicentres of the world, it’s time to take a serious look at your cocktail offering. Many restaurants are still stuck in the late 1990’s Martini cocktail phase, where drinks full of liqueurs and postmix juices, served in oversized martini glasses. Those days are gone, and the cocktails that are replacing those juicy martinis are elegant, sophisticated drinks, full of flavour and ripe with profitability. We have all heard of suggestive selling, but few servers practice, many simply fall into the rut of being an order taker. It’s worth noting over 50% of drinkers are unaware of price at the time that they place the order, and that over 60% of guests will take the advice or recommendation of a server or bartender. so taking your guests from a Vodka and Cranberry to a Cosmopolitan should really be a piece of cake. 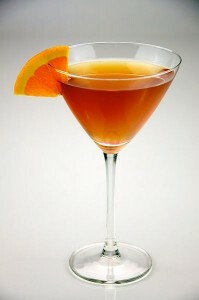 The ingredients hardly differ at all, simply decrease the amount of Cranberry and add a splash of orange liqueur. The cost differential is minimal but your opportunity to sell the end product for a premium is tremendous. Remember every time Norm walked into the bar on Cheers, the entire bar would call out in unison “NORM!” It didn’t matter who was behind the bar, they knew what he drank, and it was ready and waiting for him as he assumed his position at the end of the bar. Norm embodied the “regular,” the men and women who frequent your establishment regularly. They are the ones who more often than not, tip well, and don’t ask for any special kind of service. In many cases they are the types who spend thousands a year in your establishment. They are the cornerstones of your business, you certainly can’t afford to lose them, so the question clearly is how do you keep them and how do you get more of them? It’s all the Rage…”Rage Yoga”! It’s Almost Easter Weekend! = Chocolate & Gin!? “You Make My Dreams Come True”… Pabst Blue Ribbon! Agave Field + Tequila + Hotel = Casa Cafradia’s Agave Farm!